A certain somebody I know, who shall remain nameless, hates slugs. So, I requested this book in hopes of convincing him-- and you-- that slugs are fun! This picture book is both educational and very funny! I really appreciate how facts about slugs are presented in a kid-friendly way within the context of the story, instead of stuck at the end with footnotes that aren't engaging. Independent readers can read this book on their own and learn all about the slug, without having to rely on their parents to explain the page of facts to them. They breathe out of the sides of their heads! They attract their mates with their mucous! They smell with a second pair of tentacles! Some slugs prefer water over land! I thought this was a really cool book. 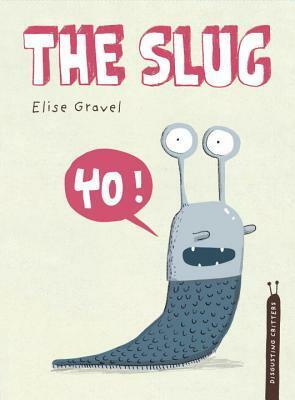 Apparently, it is part of a series of books about disgusting creatures, but I don't really see slugs as disgusting anymore! Rats, on the other hand. . .